Our economic nightmare is just beginning. Mitt Romney has shed the dark blue suit, white shirt, and pale blue tie of his 2008 campaign for an open-neck tattersall shirt with its sleeves rolled up. His sideburns are graying, and his eyes are lined, but he still sports a boyish grin and radiates the can-do enthusiasm of a man who is promising to turn the country around the way he once turned around the Salt Lake City Winter Olympics. This August morning, in the wake of the battle over raising the debt ceiling and Standard & Poor’s decision to downgrade America’s credit rating, he has come to Concord, New Hampshire, to speak to the local Chamber of Commerce. Beforehand, he agreed to answer a few questions from reporters. In an opening statement, Romney blamed Standard & Poor’s decision on President Obama. The president’s spokespeople, he said, “would substitute Harry Truman’s ‘The buck stops here’ with a new motto: ‘The buck stops somewhere else.’ The truth is the buck stops at the president’s desk, and he needs to reassert the leadership necessary to restore America’s financial foundation.” To achieve such a foundation, Romney endorsed the congressional Republican plan, dubbed “cut, cap, and balance,” which would slash $111 billion from next year’s budget, reduce federal spending as a percentage of GDP from 22.5 to 19.7 percent in six years, and adopt a balanced budget amendment to the Constitution. The plan represents an attempt to achieve private-sector prosperity through public-sector austerity. “Mr. Romney,” I said, after he had fielded several other questions, “I want to ask you something about history. You know, when Herbert Hoover had to face a financial crisis and then unemployment, his strategy was to balance the budget and cut spending, and that made things worse. When Roosevelt came in, unemployment was twenty-five and went to fourteen percent by 1937. With deficits. Aren’t you repeating the Hoover mistake?” Romney’s grin turned quizzical. “Do you really think so?” he asked me. “I do think so, but you go ahead,” I replied. I didn’t think it would be proper to turn Romney’s press conference into a debate about history, so I let his answer stand. But he seemed to be suggesting that the premise of my question was flawed because deficits are much larger today and will probably continue unabated. And they are larger—but that is because our GDP and government are also larger. Meanwhile, if our deficits stretch “as far as the eyes can see,” so did the deficits in Hoover’s day, which continued unabated for 16 years. Romney was insisting that there was nothing to be learned from Hoover’s response to the Great Depression. But, in fact, what happened in the United States and Europe in the ’30s is an excellent—perhaps, the best—guide to what is happening to us now. Yet it’s not just Romney and the other Republican presidential candidates who seem oblivious to the lessons of the ’30s. From David Cameron to Angela Merkel to Japan’s new Prime Minister Yoshihiko Noda, many of the world’s leaders are convinced that austerity is the way to fix our broken economy. President Obama—at least judging by his recent jobs speech to Congress—seems to understand that this approach is leading to economic disaster; but he may have waited too long to begin making this case to the American people, and the odds that he can actually get any kind of massive spending bill through Congress, now or even after 2012, remain low. During the next year of campaigning, we are going to hear lots of uplifting slogans about America’s can-do spirit and the bright prospects for our national future. That is the way politicians talk, and there is nothing wrong with that. But such optimistic rhetoric should not fool anyone about the underlying reality: Unless there is a fundamental—and difficult-to-imagine—change in the way our politics interacts with our economy, the United States and much of the world are headed for a very grim future. In each case, the financial crisis generated an overhang of consumer and business debt that—along with growing unemployment and underemployment, and the failure of real wages to rise—reduced effective demand to the point where the economy, without extensive government intervention, spun into a downward spiral of joblessness. The accumulation of debt also undermined the use of monetary policy to revive the economy. Even zero-percent interest rates could not induce private investment. Finally, in contrast to the usual post-World War II recession, our current downturn, like the Great Depression, is global in character. Financial disturbances—aggravated by an unstable international monetary system—have spread globally. During the typical recession, a country suffering a downturn might hope to revive itself by cutting its spending. That might temporarily increase unemployment, but it would also depress wages and prices, simultaneously cutting the demand for imports and making a country’s exports more competitive against those of its rivals. But, when the recession is global, you get what John Maynard Keynes called the “paradox of thrift” writ large: As all nations cut their spending and attempt to devalue their currencies (which makes their exports cheaper), global demand shrinks still more, and the recession deepens. Politicians today might not want to remember, but, in the first phase of the Great Depression, the major economies, oblivious to the paradox of thrift, took steps that made things much worse. In the United States, Hoover, who was a Republican progressive in the tradition of William Howard Taft rather than Calvin Coolidge, responded initially to the stock market crash and the drop in employment by proposing a tax cut and a modest public works program. He also tried to bring industry together to agree to invest and to maintain wages and prices. But, when firms continued to cut back, unemployment continued to rise, and tax revenues dropped—creating a budget deficit—Hoover and the Republicans turned to cutting government spending and raising taxes on the assumption that a government, like a business, should not respond to hard times by going further into debt. In a news conference in December 1930, Hoover declared, “Prosperity cannot be restored by raids upon the Public Treasury.” In fiscal year 1933 (which began in June 1932), federal spending actually decreased. By March 1933, when Franklin Roosevelt took office, the unemployment rate had climbed to 24.9 percent from 3.2 percent in 1929. In Great Britain, the economy had begun to decline after 1925, when the Tory government, rejecting Keynes’s advice, decided to go back on the original pre-World War I gold standard. By raising the price of the pound in dollars or francs, the Tories priced British exports out of the world market. In May 1929, the Labour Party ousted the Conservative Party, whom voters blamed for the downturn. But Labour Prime Minister Ramsay MacDonald pursued many of the same policies as the conservatives. MacDonald was a socialist and blamed a “breakdown” in world capitalism for Britain’s ills, but he thought that as the head of capitalist Britain, he had to adhere to the gold standard and free trade, while cutting the budget. Keynes’s Liberal Party, led by former Prime Minister Lloyd George, advocated massive public works, but Labour leaders branded the Liberal proposals “madcap finance.” They rejected any idea of a third way between laissez-faire capitalism and socialism. As unemployment soared in Britain, MacDonald proposed raising taxes and cutting spending on unemployment insurance in order to balance the budget. MacDonald had always been averse to partisanship and had earlier urged the parties to put their “ideas in a common pool.” When Labour’s trade union members balked at his cuts, MacDonald created a national unity government with the Tories in 1931 and passed spending cuts and tax increases. By the next year, unemployment in Britain had risen to 22.1 percent from 10.4 percent of the wage-earning workforce in 1929. In Germany, where the slump had begun in 1928, a coalition led by a Social Democratic prime minister held sway. Both the Social Democrats and their conservative coalition partners were committed to reducing Germany’s rising budget deficits, but the Socialists wanted to do so by borrowing money overseas, while the center-right parties advocated cutting the budget by slashing unemployment insurance. The government split and, in an election in 1930, a center-right coalition led by the Catholic Centre Party’s Heinrich Brüning took power. Brüning drastically cut spending and raised taxes, and, by 1932, when the next elections occurred, the German economy was in ruins. Production was at 40 percent of what it had been in 1929, and unemployment had risen to 33 percent. In all these cases, the lesson was clear: Cutting spending and raising taxes to balance the budget had made things much worse. And, as these governments discovered, there was a political price to be paid. In the United States, Franklin Roosevelt and the Democrats turned out Hoover and his party by a landslide. The Republicans would not win the presidency again for 20 years and would remain the de facto minority party for almost 50 years. In the October 1931 elections in Britain, the Labour Party suffered its worst defeat. MacDonald would be expelled from the party, and Labour would not regain power until 1945. In Germany, Adolf Hitler’s National Socialist Party would best the other parties in the 1932 elections. And, in January 1933, Hitler would become chancellor. 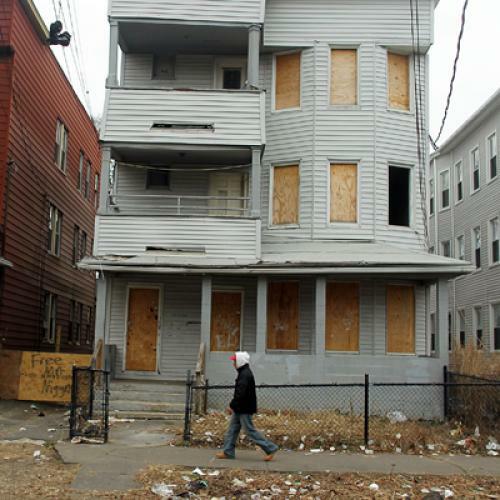 IN THEIR INITIAL response to the recession of 2008, leaders in the United States and Europe appeared to heed the lessons of the Great Depression. Obama, British Prime Minister Gordon Brown, and French President Nicolas Sarkozy each backed generous government spending programs to revive the economy, and they also advanced proposals for reforming the increasingly dysfunctional international monetary system. In the United States, Federal Reserve head Ben Bernanke and Council of Economic Advisers chair Christina Romer had both made their mark as academics with analyses of the Great Depression. And Britain’s Labour Party had become a bastion of Keynesianism after World War II. In short, there seemed little doubt that the follies of the late ’20s and early ’30s would be avoided this time. But then problems began to arise. Obama’s initial stimulus proved woefully insufficient to stem the rise in unemployment. The $787 billion federal stimulus included $288 billion in tax cuts, which were as likely to be saved as to be spent; meanwhile, the stimulus was partially offset by an estimated $425 billion in state and local spending cuts and tax increases. The need for more spending was evident to Romer and to liberal economists, including Paul Krugman and former Council of Economic Advisers head Joseph Stiglitz; but Obama failed in his first year to press energetically for additional spending. His influential treasury secretary, Timothy Geithner, believed that, after the initial stimulus, the recovery was proceeding on its own, and Obama’s attention was focused on passing health care reform. By the end of 2009, the failure of the recovery to take hold had emboldened the Republican opposition and given birth to a new right-wing movement, the Tea Party, that called for a drastic reduction of government spending. Republican victories in the 2010 election led Obama to backtrack. He embraced the rhetoric of austerity—calling on government to “tighten its belt”—and accepted spending cuts in order to pass a budget and win Republican agreement for raising the debt ceiling. Most of these cuts are slated to take place over a decade, but as much as $30.5 billion is to be cut in 2012. In acceding to the uncompromising Republican opposition, Obama made it less likely that the United States would recover from the recession during his first term. Recently, as Obama’s popularity sank, even among Democrats, and as the economy has continued to flounder, he has changed course, calling for $400 billion in new spending and tax cuts to create jobs; but the odds that Republicans will go along with him seem low. In Great Britain, the dour Brown, who was inept as a politician, was replaced in May 2010 by Tory David Cameron. A modest recovery had begun under Brown, but Cameron, concerned about a rising deficit, slashed spending and raised taxes. Cameron’s five-year plan calls for the elimination of 300,000 public-sector jobs. As a result, growth has slowed to a crawl in Britain. The economy increased .2 percent in the second quarter. And unemployment, which fell in 2010, has begun to rise. On the continent, the leaders of more prosperous nations have responded to growing unemployment, lagging growth, and the threat of insolvency on the periphery by calling for austerity. Dutch Prime Minister Mark Rutte has proposed appointing a Eurozone commissioner who could expel countries (like Greece) that don’t adhere to strict budget rules. Sarkozy and Merkel have proposed that all the Euro countries pass legislation requiring balanced budgets and balked at creating “Eurobonds” that would give struggling countries access to lower-interest loans. “Austerity is the only cure for the Eurozone,” Merkel’s finance minister, Wolfgang Schäuble, declared in The Financial Times. SOMETIMES LEADERS do things that harm their own nations because they don’t know any better. Hoover, like many Republicans and Democrats at the time, couldn’t conceive of deficit spending as being beneficial under any circumstances. But others have had choices and have still adopted the alternative that is most damaging to their country. That was true of British Labour during the beginning of the Great Depression—and it is true of the leading American and European politicians who have backed the current round of austerity measures. There are three factors that explain these bad choices. The most common, but least persuasive, explanation is that political leaders and governments are in thrall to powerful financial interests. The City of London (Britain’s Wall Street) was certainly enthusiastic about reviving the gold standard in 1925 and resisting devaluation afterward; London’s bankers saw the prewar gold standard as essential to maintaining their hold over international finance. In the United States today, bankers on the Federal Reserve’s Open Market Committee have opposed the Fed injecting more money into the economy because it might be inflationary. Inflation reduces the value of the loans that banks have made. But this explanation is unsatisfying because support for austerity goes well beyond bankers. A second explanation is that national leaders, faced with a severe downturn, model their own reaction for what a nation should do on what an individual business, faced with more efficient competition, would do. They want the government, like a business, to respond by cutting costs rather than increasing debt. They also see public spending and deficits, which must be financed on the same bond market where businesses raise money, as “crowding out” what’s available for private investment. And the more sophisticated see austerity as part of a general strategy—along with eliminating business taxes and regulations—to boost exports and reduce imports. Cutting spending makes it possible to cut taxes on business; less spending on unemployment insurance or welfare puts downward pressure on wages and prices, making it easier to outsell foreign competitors. It is a model that assumes an atomized world economy in which each nation is out for itself. The United States and Europe embraced this “beggar thy neighbor” strategy at the beginning of the Great Depression, and today’s Republicans, as well as Cameron’s Tories and Merkel’s Christian Democrats, do so, too. Japan’s Noda also endorses a version of this strategy. In the American political culture, opposition to “big government” has become an article of faith that brooks no contradiction. When I was in New Hampshire this summer, I accompanied Republican Congressman Charlie Bass on a visit to a small factory that produces industrial-strength air-conditioning filters. Bass asked the factory owner what he would do first if he were Obama. The owner replied immediately: “Cut spending.” Later, as I was touring the plant, I learned that schools, government buildings, and the military bought their filters there. As Bass was leaving, I asked the owner whether, in proposing that Obama reduce government spending, he wasn’t cutting off his nose to spite his face. He was taken aback and took a moment to reply. He began by denying that cutting federal spending would have any effect on his business, which was mostly local, but then acknowledged that schools and offices now had less money to buy filters. It was as if he had never made the connection before between his deep-seated cultural assumptions about government and the fate of his own business—and by extension that of other businesses. Charismatic leaders can reshape and even defy their nation’s political culture. Franklin Roosevelt did so during his first term. But Roosevelt inherited a situation so desperate that the public was willing to tolerate any kind of experimentation. Obama entered office with some of the preconditions for radical reform. Crisis was in the air. Wall Street was in disfavor. Voters blamed the downturn on his Republican predecessor, George W. Bush. And he had the rudiments of a political movement. But the country was not in as desperate shape as it was in 1933, and the opposition was still functioning. To have put in place a program that might have spurred at least the beginnings of a recovery, Obama would have had to be both extraordinarily bold and fiercely combative. And he was neither. In dealing with the downturn and financial crisis, the president was cautious—as evidenced by his choice of Geithner, who had presided over the Federal Reserve Bank of New York during the crash. Like MacDonald, Obama harbored a dream of bringing the parties and interest groups together behind his program. As The Financial Times’s Martin Wolf put it, “Mr. Obama wishes to be President of a country that does not exist. In his fantasy US, politicians bury differences in bipartisan harmony.” After the bruising battle over the debt ceiling, Obama may have finally put his dream of a post-partisan politics to rest and adopted a more aggressive political style. But the narrow opening for dramatic change that existed in early 2009 has probably closed. TO EXTRICATE THEMSELVES from this mess, the United States and other leading nations are going to have take the same kind of steps that the West took after World War II—steps that led to 25 years of prosperity. After World War II, governments came to play a much greater role in national economies, particularly in the United States. In 1929, U.S. federal spending accounted for 3.68 percent of GDP. During World War II, it rose to 43.6 percent; by the mid-’50s, it had leveled off between 17 and 23 percent. This spending helped complement private investment and sustain consumer demand. In the future, the United States will once again have to raise rather than lower the level of federal spending as a percentage of GDP. Republicans want to cap spending at 19 percent of GDP, but, in the wake of the recession, it may have to hover between 25 and 30 percent or perhaps climb even higher. That’s because of an aging population that will need public services, the growing importance of publicly funded science and technology, the need to transform the nation’s energy and transportation networks, and the impact on employment of the trend toward automation in manufacturing and services. Even if the U.S. economy grows at a healthy pace, the private sector may not provide enough jobs. The United States and other nations will also have to reform the world’s monetary system—again—in order to instill a sense that we, the world’s nations, are all in it together. Near the end of World War II, the United States, with Britain as a junior partner, established the Bretton Woods international monetary system. That eliminated a major source of instability and division that had arisen when the older British-based gold standard had broken down. The Bretton Woods system was based on the dollar’s equivalence to gold, but, unlike the older system, it allowed countries other than the United States to devalue or revalue their currencies and thereby reduce either their trade deficits or surpluses. To escape the recession, the leading nations, including China, would have to establish a new international system that could avoid these kinds of imbalances. But how? The economic historian Charles Kindleberger pioneered the argument that a stable, well-functioning international system requires a single, leading nation—an absolute monarch. But no country will be ready within a decade or two to assume the role that the British played in the nineteenth century or the United States played after World War II. This means the leading countries will have to reach agreement among themselves. And that won’t be easy, particularly as a version of economic isolationism gains ground. OBAMA IS UNLIKELY to get substantial spending increases through the Republican House during the next year, and, even if he wins reelection, he probably won’t have large enough majorities in Congress to force through the kind of spending the economy needs. Indeed, as a second-term president, he would likely be in the same position as MacDonald in 1931, presiding over a national government that he ultimately does not control. Romney and Rick Perry, the two leading candidates to replace Obama, are both business conservatives who can be expected to take their cues on economic policy from the Chamber of Commerce, Wall Street, and the Business Roundtable rather than from the Tea Party. Romney, who cherishes the image of himself as a pragmatic turnaround artist, may prove more adaptable to economic circumstances than Perry. In his appearances, Romney sends out dog whistles—audible to liberals—that he is not as economically radical as his opponents. For his part, Perry should not be dismissed as an anti-government activist. A Tea Party enthusiast would not have established the Texas Emerging Technology Fund, which uses government money to boost high-tech business ventures. If they are faced with a continuing slowdown, Romney or Perry would be likely to support what they would think of as a stimulus program—one that is heavily weighted toward reducing business costs through cutting corporate tax rates, eliminating capital gains taxes, reducing or eliminating regulations, and discouraging unionization. The hope will be, as Romney has put it, to make “American businesses competitive in the global economy.” But such a strategy assumes that there is a backlog of demand for U.S. consumer and capital goods that firms would meet if government increased their potential profit margins. In a global downturn, that’s not necessarily the case. Such an approach would probably do what Calvin Coolidge, Ronald Reagan, and George W. Bush’s economic proposals did: redistribute wealth and income from the bottom toward the top—out of the hands of people who are most likely to spend what they have and into the hands of people most likely to save rather than spend. In a downturn, that’s not a good strategy for getting the economy going. The policy outlook is similarly grim in Europe. To remain viable, the Eurozone will have to widen its responsibility for the economic health of the weaker, peripheral nations that are tottering under debt and exorbitant interest rates. But France and Germany are urging these countries to escape their debts by drastically cutting spending; that, again, will reduce demand in the Eurozone during a downturn. And powerful conservative forces within the wealthier countries—asking, “Why should we help them?”—are against any expansion of fiscal responsibility in the Eurozone. In the ’40s, it finally took a world war to bring about the conditions for reforming the world’s leading economies. The war established the United States as the unchallenged leader of world capitalism, and it convinced Washington that a renewed strategy of “beggar thy neighbor” would be self-destructive. The popular New Deal reforms also established a floor under government’s role. Western Europe and Japan followed America’s lead. Will it take another global catastrophe to convince the leaders of the United States, Europe, and Asia to halt the repetition of past errors—to recognize that they need to establish a new economic order? What will it take to convince the people of the United States that they have to overcome their cultural predilections against big government? These are the questions that will have to be answered over the years, but, in the coming election, I would expect they would meet with the same Cheshire Cat grin that I received when I asked Romney whether he wasn’t calling on America to repeat Hoover’s mistakes. 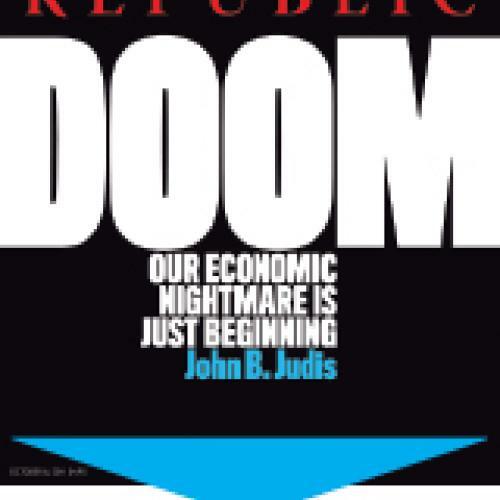 John B. Judis is a senior editor at The New Republic and a visiting scholar at the Carnegie Endowment for International Peace. This article appeared in the October 6, 2011, issue of the magazine.